Gratuitous Cumberbatch photo. Just because I felt like it! I want to tell you about why its sometimes a really good idea to give up. You weren’t expecting that, were you? In my last post, I wrote about the folly of trying. Of pushing ourselves beyond endurance, and as a result, being unable to achieve the things we want. That post was an example of me writing my own permission slip. That day, I took my own advice. I gave up trying. I spent a lot of time just lying around. I felt terrible, so why do anything else? I simply surrendered to what my body was trying to tell me. Which was, in essence, ‘STOP’. The next day, I woke up at 8.30am, earlier than I am normally able to do, and in addition, woke with a clear head. I grabbed my laptop and opened it up. In between spells of writing, I stripped the bed, put clean sheets on, did three loads of washing, tidied the kitchen, ironed some fresh pillowcases, made some long overdue phonecalls, and cooked a lovely supper for Husband and myself. I got so much done! By close of play, i.e.11pm, I had written (get this) 6470 words. Thats 27 pages. The most I have ever written in one day. And all because I had given myself some much-needed space. This is why you must learn to stop. Yes, it is important to write every day. Little and often is imperative. Regular practise for any art form is necessary. And there will be days when you sit down at your desk or in your studio and think: ‘I really don’t want to do this today.’ And when you start, the brush strokes will be ugly or the words will come out like lumps of lead. And then you will get going and things will flow and it will be alright. (In fact it will be better than alright. Because all the pain and depression you may have been struggling with will fly away, and creating will heal you.) That is the point of any practise. I am not saying you should only write when you feel like it. What I am saying is that you must recognise that there are some days when your body is leeched to a husk, when your brain is too full or too empty to do anything but be. Those are the days when you need to be gentle with yourself. To put away the expectations. And you will know those days. The days of crisis. The days when Life just steps in and pulls the carpet from under you. If, like me, you live with chronic illness, working out which those days are becomes a little harder. After 17 years, I am getting better at it, but I’m still not great. The important thing to remember is that when you release the pressure on yourself, the result is often magic. Once we stop trying, once we stop tensing up and forcing things, the creativity flows through us freely onto the page or the canvas or the keyboard. When we are free to make crap art, we learn. And invariably, in my experience at least, when we give ourselves permission to make crap, what comes out is pure gold. So here I am, in the aftermath of this great day of writing, assessing what I have learnt, what I can take with me from this experience. I don’t know if what I wrote yesterday was gold or dross. Chances are it will be about 50/50. I don’t really care. To be frank, it was fun. It was an enormous relief just to spread my wings and fly without judging myself at all. And I’m looking forward to doing it again just as soon as I can. This entry was posted in Benedict Cumberbatch, Creativity, creativity heals, Flow, Freedom to be yourself, illness, Just Do It!, Learning the Craft, Life, My Life, Nurture Yourself, On Process, Perfectionism, Self care, SHOULDS, The Creative Process, The Habit of Art, What to do when life gets in the way, Writing, Writing Every Day and tagged Benedict Cumberbatch, chronic illness, Creativity, expectations, illness, Perfectionism, permission to make crap art, self care, Writing on 12.09.14 by evenlode1967. If you are wondering why things have been quiet here at Evenlodesfriend lately, its because I am soaking up the sun in Scotland while attending the Islay Whisky Festival. Now, I don’t drink, but Husband’s ‘on the side’ business is in whisky, so its a bit of a work ‘jolly’. Nevertheless, here I am on this beautiful island with a bunch of friends and a toddler, staying in a little house on the beach. The weather is distinctly Un-Scottish. In other words, 22 degrees most days, and lots of sun (and resulting sunburn). The midges love it, but so do I. 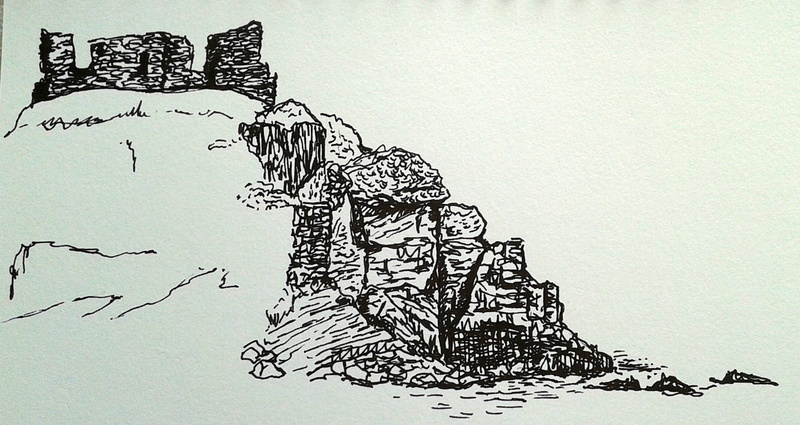 Drawing in progess – the ruins of the summer castle of the Lords of the Isles, Lagavulin Bay. I am on holiday and I want to stay still. Even if its just for one day. With a two-year-old in tow, its hard to make time to be still, but nap times help. While she’s asleep, we can journal, draw, write, read, stare into space, go for a quick walk along the strand, or just doze. Even so its easy to get sucked into the OUGHTS and SHOULDS when you only have a week to get around and see all the wonderful sights this island has to offer. I have been rediscovering drawing and photography. There is lots to take pictures of here, from the rock formations on the beach to the bleak mountains. If you are interested in knowing more about our whisky adventures, you can read about it all here. This entry was posted in Creative Seasons, Creativity, Flow, Freedom to be yourself, Nurture Yourself, Self Reflection, SHOULDS, The Sea, weather, Writing and tagged being still, Creativity, Drawing, holiday, Islay, Islay Whisky Festival, Whisky Tasting Club, Writing on 29.05.14 by evenlode1967. Sometimes, though, it is just what you need. Let me be clear here. I am not talking about those Creative Seasons we all have, ‘a time to write and a time not to write’, to paraphrase Ecclesiastes. I am talking about when you are in the midst of a huge creative streak, you are going at it hammer-and-tongs, lost in your story world, your painting series, or the new symphony you are composing. These are dangerous times. These are the times when it is very easy to burn out. Sometimes it is healthy for your Muse and you to have a break from one another. Just twenty-four hours or so. Nothing big. We aren’t talking rupture here. Just time to stand back. Take Stock. Take a breath. Because we all need to take a breath. The risk of burning out is a good reason for doing this. You might call it a ‘creativity detox fast’ or something like that. A short spell of time when you can recharge your batteries and see your work from a different perspective. Take a rest. Make sure you look after yourself. Breath. Eat. Move. See your friends. Remember you have a life. Yes, you have a life outside your creative endeavour. You remember that? The place where the emails have to be written, the laundry done, the cooking, the dusting, mowing the lawn. Remember that place? The one where you have to wash and brush your teeth, and sleep? It is easy to forget real life when you are caught up in your creative surges. There lies the path to madness. Or at the very least, gingivitis. This happened to me on Sunday (not gingivitis, I hasten to add!). There comes a time in every writer’s life when she has to tear herself away from her Word document and do the necessary. I did the washing and the ironing, and went to the supermarket for fresh veggies. I did all those horrid, niggly jobs that had been floating about in the back of my skull all week, the things I had been putting off because I didn’t want to do them, and this time I had an excellent excuse (I was writing!!!!). I didn’t power up my laptop till late in the day, and even then, I kept my activity very limited. I didn’t think about my story world, forced myself to not think about it, policed not thinking about it very sternly. (Of course, the fact that I was sick of thinking about it helped.) I watched the film version of Oscar Wilde’s ‘An Ideal Husband’, which was delicious, and read a lovely book. And for the first time in days, I felt relaxed. Today, I have resumed writing again, relieved by the knowledge that the bailiffs won’t turn up at the door, as I have now put the cheque for the heating oil in the post. And I feel so refreshed. My writing is better for it too, I think. Riding your wild donkey to finish your novel is all very well and good, but not if it comes at the expense of your health or your comfort. So be mindful when you are on a creative binge. Yes, ride the wave and enjoy it, but be aware that sometimes you can ride it even longer if you just stop to enjoy the scenery along the way, and do a little housekeeping while you are at it. This entry was posted in Creative Seasons, Creativity, Flow, mindfulness, Nurture Yourself, Outflow, Self Reflection, Uncategorized, Wild Donkey, Writing and tagged Creative seasons, creative surges, Creativity, manage your creative life, wellbeing, Writing on 12.05.14 by evenlode1967. Every moment is a new opportunity. Don’t think about all the books you haven’t written yet. All canvases you haven’t filled, the dances you haven’t danced, yet. With every new breath, you have an opportunity to DO DIFFERENT. Didn’t write your diary yesterday? Do it now. Didn’t do your writing exercise or sketch. Do it now. There will always be an excuse. Why listen to it? Every moment is an opportunity to change what you do. Its a choice. Every waking moment. You can choose to keep on keeping on, doing the same old same old, thinking the same old thoughts, being a victim, blaming other people because you never made the time to learn the piano or whatever. Or you can choose to live the life you want to live RIGHT NOW. If the life you want to live involves living in a villa on a Greek island painting huge abstract canvases, (confession: this is my dream retirement) and maybe you can’t run away to the sun just now, well, just get some paper out of the photocopier and some coloured pencils or pens and make some colours on the page. Be the change you want to see. You can be the person you always wanted to be RIGHT NOW. You have a choice RIGHT NOW. Make your choice and be it. This entry was posted in Creativity, Flow, Freedom to be yourself, Inspiration, Journal Friday, Just Do It!, Nurture Yourself, Outflow, Self Expression, Writing and tagged art, Choose change, Creativity, live your dreams, Writing on 07.03.14 by evenlode1967. Part of being a writer is the dance of self-acceptance. I have to deal with a chronic illness, which has radically altered my life for the last fifteen years, and shows no sign of waning. This means I have to manage the delicate balance between self-care and doing too much. When I overdo it, I end up exacerbating my symptoms and have to face extended periods of bed rest and being confined to the house. Anf brain fog. So sometimes I can’t write. And its not that I don’t want to, its just that I literally can’t. As I have said before, however, that doesn’t mean I’m not writing. In my head, at least. 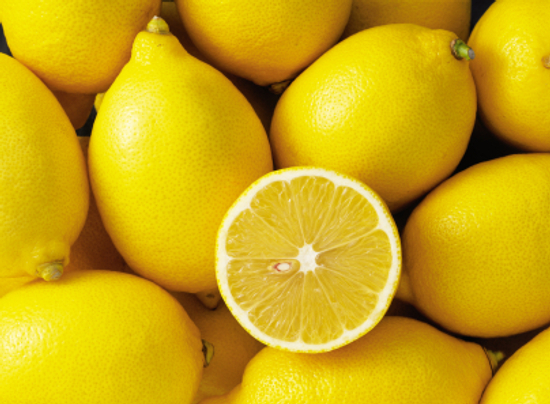 Sometimes life deals us lemons, and the lemonade is hard to make. But even when I feel like I am buried under tonnes of lemons, the dream is still there. The memory of how fantastic it feels when I am able to write, when the flow is happening and I am submerged in a scene. This is where my diary comes in. At times when I can process language, when I can hold my pen, I write in my journal. It may only be a few lines, a sentence or two, but it is self-expression, getting the feelings out onto the page, and it feels fantastic. At times when things are tough, my journal is my life raft. SARK, Juicy Pens, Thirsty Paper, 2008. This entry was posted in creativity heals, Diaries, Diary, Flow, Freedom to be yourself, Healing, illness, Journal Friday, Journaling, Nurture Yourself, Outflow, Self care, Self Expression, Self Reflection, Spontaneous, The Creative Process, What to do when life gets in the way and tagged Creativity, healing, health, journaling for healing, Journals, SARK, when life gives you lemons on 05.07.13 by evenlode1967. This post follows on from my earlier one, about how to take criticism. Now, before you get defensive, criticism is a good thing. It can help you develop as an artist in whatever field you choose to pursue. It can open your mind, make you a bigger, better human being. It has to be CONSTRUCTIVE CRITICISM. Constructive criticism is given from a place of concern and interest. It is offered by someone who cares about your work and wants you to be the best you can possibly be. Most people don’t know how to do this, which means criticism gets a bad rap. It is seen as something damaging and negative, something that can potentially destroy you as an artist, and believe me, it is, if you do it wrong. This is a guide on how to do it right. Put yourself in the place of the person whose work you are reviewing. Think about what you want to say about it. How would you feel if someone said something like that to you about your work? Would you feel hopeful, buoyed up, enthused, or would you be utterly crushed? Take the time to think before you type or speak. This is especially important if you are reviewing someone’s fanfiction or online work. It’s so easy to plonk a few keys and fire off a comment before you have thought about it, before you have considered the impact on the person receiving it. Don’t say what you would have done instead. So many readers think that helpful comments should be about ‘well, I would have written it this way.’ No. Criticism is about pointing out what doesn’t work for you as a reader. It is down to the writer/creator to decide what to do about that. (However, helpful suggestions are often very well received.) Remember that this work comes from someone’s unique perspective, and that they have made many artistic decisions for specific reasons. Those are reasons that you may not share, understand or even perceive. Give the writer/creator your respect. Gauge the level of criticism the writer/creator may be ready to receive. This can sometimes be quite hard, especially if there is seems a lot wrong with a piece. Is the writer in need of help at the most basic level, i.e. the nuts and bolts of language and grammar? This may, of course, be because the language used is not their native language, so they are learning. If that is so, they may be very grateful for your help. Perhaps the comments you need to make are at a higher level, in terms of plot, pace, character, structure or dialogue. Again, this may be a problem with linguistic mastery. Try to choose one area to comment on at a time. Don’t deluge someone with criticism of all major aspects of their work, or they will go to pieces. Knowing the writer’s other work helps. This way you can refer back to it, and they feel known and appreciated. If someone is commenting with knowledge of your back-catalogue, they can comment in context. They know where you are coming from, and how your work has changed over time. It’s not necessary to read everything a writer has written before you comment, but if you have read one or two of their other works, and you think they are relevant, it can be a great boost, a recognition of the progress they have made and what they do right. Always point out and praise what does work, and be positive. The writer/creator has put a lot of time and effort into producing something for your consumption and enjoyment, and that in itself is a great achievement. Don’t EVER get personal. This is about the work, not the person. If you react in a strongly negative way to a piece, ask yourself whether this is because the content is touching on your own issues and triggers? If it is, DO NOT comment. I suggest you spend some time writing your rant out in your journal, rather than firing it off to some innocent writer who doesn’t know about your ‘stuff’. Remember, it takes a lot of guts to put your creative work out into the public arena. For many creative people it feels like sticking one’s head into the lion’s mouth. Respect that fear and the bravery that outweighs it. Always respect and have empathy for the creator of the work on which you comment, and it will be hard to go wrong. If we support one another’s work lovingly, we can all learn together. Incidentally, I would love to know if you have more tips on how to receive or make constructive criticism – if you do, please comment/reply! This entry was posted in Constructive Criticism, Creativity, Criticism, Fanfiction, Flow, Grammar, On Process, Punctuation, Safe Space to create, Writing and tagged constructive criticism, Creativity, Criticism, empathy, Learning to write, Mslexia, safe space to create, Writer, Writing on 03.07.13 by evenlode1967. Many great writers have also been great walkers. Imagine Jane Austen striding across the Hampshire countryside around Chawton, her home village, the hem of her white muslin gown getting stained with mud, or Virginia Woolf stomping over the Sussex Downs, hands buried deep in her pockets, muttering sentences and paragraphs for her current work under her hat brim. The Romantic poets were famous for striding around the Lake District, soaking up the epic scenery and composing all the while. There is something meditative about walking, a rhythm that comes with stomping feet, the steady repetition of step after step over the ground. 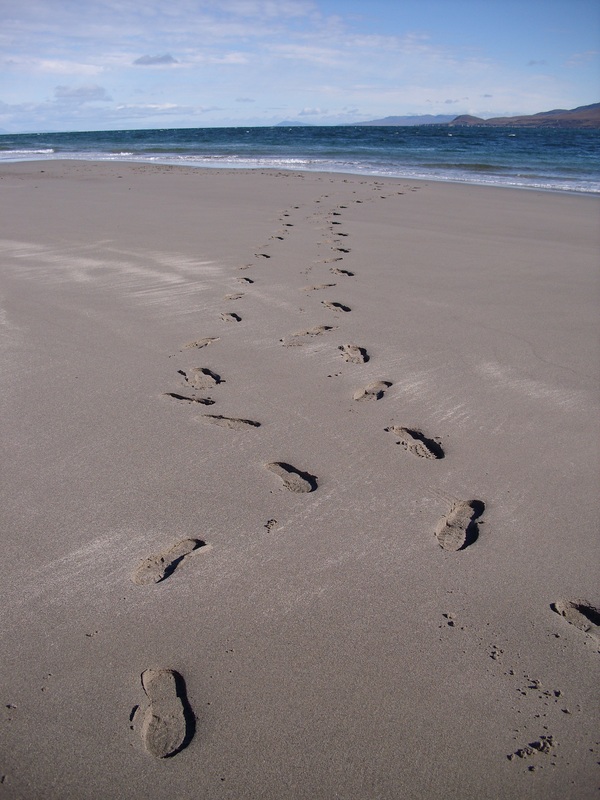 The act of walking induces a kind of trance, a change in consciousness that opens up our minds. When I am able to walk, I can exorcize even the foulest of moods, and I always come home with an idea, an image, a sentence at the very least. Walking allows us to observe the world whilst being part of it. It brings us into Flow, a place where our thoughts smoothe into a creative stream. We can walk ourselves out of being stuck on a project, and we can walk ourselves into a new one. Plus, it burns calories and keeps you fit and, well, and who doesn’t love that? Put a notebook or sketchbook and a pencil in the pocket of your jacket. You could even take a camera. Put on a sturdy pair of shoes and go for a walk around your neighbourhood. Take twenty minutes, more if you have it. Try to walk with a steady motion, a regular rhythm. Drum out a beat with your soles. Open your mind to whatever thoughts come up. Look around you. What little details, or big stories to you witness? You can scribble things down on your way, or you can stop, if you have the time, to take notes, draw a sketch or two, snap a few photographs. You don’t have to photograph people, remember – a wonky chimney stack or a graffitied sign might spark your interest, perhaps even an interesting pattern made by litter in the gutter. Take the time to witness and observe. Combine this with the meditative beat of footsteps. A treasure trove is outside your door. Even if you only walk and see, do that much. When you get home, note down what you have seen for use later, and enjoy feeling refreshed. Walk twice a week for preference, daily if you can. Get to know your locale. Push yourself by walking in new places. Extend and vary your routes. Walk whether you feel like it or not. Especially when not. Putting one foot in front of another gets your mind to a new place that is always worth exploring. This entry was posted in Creativity, Flow, Inspiration, Inspiration Monday, Landscapes, Notebook, Notebooking, Writing, Writing Every Day, Writing Exercises and tagged creative writing, Creativity, Inspiration, Jane Austen, Virginia Woolf, walk, Walking, Writing, writing exercises on 27.05.13 by evenlode1967.